Hard to believe I just cleaned my oven. Sometimes one just has to do these things. January kind of sits in a cloud of gray. One dreams of glamour, coconuts, palms in Hawaiian climes. Yet for some Hawaiians, living here in the Pacific Northwest was preferable to their native land. They chose to be here. Salt Spring has a diverse culture and part of this history was the arrival of the Hawaiian families during the time of the fur trade. One such man was William Nuan or Kahana who lived in the San Juan's just a short row from our island. Like his father before him, he worked for the Hudson Bay Company. His father, John Cox, had worked for the last two Hawaiian kings as ambassador. Travelling widely John decided to live in this area. 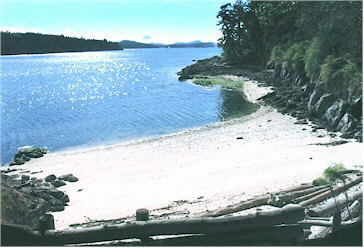 While his son William Kahana was working in the San Juans he met a Salish woman who had grown up in a "village" on Isabella Point here on Salt Spring Island after 1830. Her name was Tseleachei. They married and had a family. After the "Pig War" and the San Juan's became American, William and his bride, along with 50 or so other Hawaiians came to Salt Spring Island where they could be landowners and settled. Tseleachi and her daughter maintained a large clam garden on Isabella Point. Hawaiian words populate some of our place names such as "kanaka" which means "people" in Hawaiian. These pioneers are buried in St. Mary's and St. Paul's Churches in the Fulford Valley. Their descendants live on here. There was a flurry of media recognition around this story. They were called "The Lost Hawaiians." In the end they were gifted a trip to Hawaii with the airlines giving them complimentary tickets. That would have been a tremendous experience. Right now though if it were me, I might have chosen Hawaii given my druthers. Must be the lack of sun. "Clam up your mouth and be silent like an oyster shell." Clams used to be so abundant. When I was growing up our family ate them a lot. It is hard to find a good clam beach these days. The beaches here are all clammed out. Once when I was walking on the ocean nearby I watched a boat come onto shore and many people descended of Asian stature and persuasion with wide straw hats. As a clump they moved in silent, orderly fashion, with downcast eyes, swiftly working the beach for clams. I understood then one of the reasons for the disappearance of the clam. 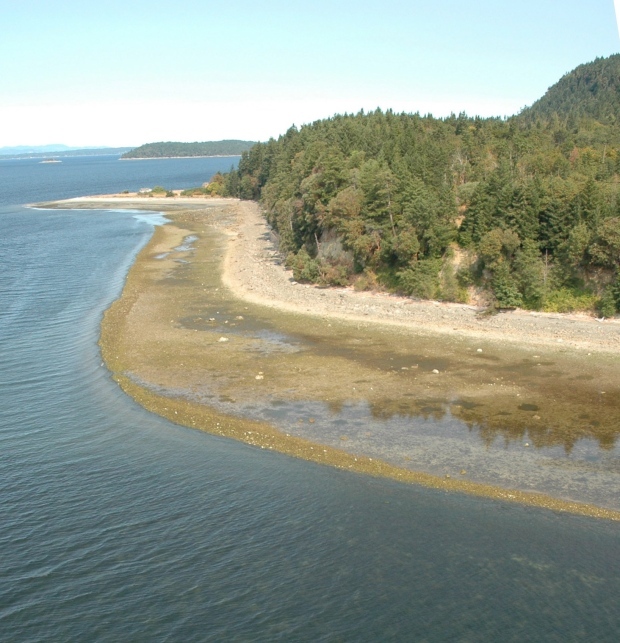 When the Coastal Salish lived here there were apparently “clam gardens” a phenomenon only recent understood by archaeologists. The gardens were cultivated by creating sandy areas behind piles of rocks that became burms. It was a way to create a continuous food source for the abundant populations. One such place was Fulford. 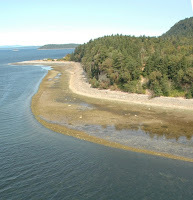 According to a man who was born here on Salt Spring Island and who is in his 80’s now, Fulford Harbour used to be sandy and clear with abundant eel grasses. A huge clam garden was there. Then, loggers came. At the head of the harbour the logs were dumped along a chute. In a few years the garden was completely gone and the eel grasses destroyed. Today it is a dank mud flat. It is kind of a joke on us for we are only recently figuring out what the Salish have known all along. If only I had waterfront I would get busy. it seems to me like a beloved companion." Sometimes I think people have it in for trees. I am in mourning. They are taking the trees down at the end of Rainbow. Not at the end of a rainbow, silly. Rainbow Road. Two lovely long lines of Douglas Fir are slowly coming down. It is like a physical ache. I feel as though I am losing dear friends and a familiar comforting landmark. That is just me I suppose. Recently I was with a friend in Victoria. We had parked the car and I was standing stock still. "What are you doing?" she asked me. "Why I'm...," I hesitated. I was taking in the lovely energy of the pines that were beside us. I told her what I was doing. I added, "You have an unusual friend." She said nothing. It was unconscious until my friend queried me. We all know we need them... the lungs of the earth and all that. We just cannot seem to help ourselves. They are viewed as being in the way as opposed to cherished microbiomes. For me they are shaggy old friends who have everything to give as energy biotransducers. Most of us have no thanks. They are considered common. Without them we would not survive on the earth. Yet onward ho with the saws as if Sauron himself was in command. Like an old Ent I watch preciously over the wee forest that surrounds my house at the other end of Rainbow. It's a tough job but someone has to do it. Well there have not been any more big quakes around these parts which is just fine. 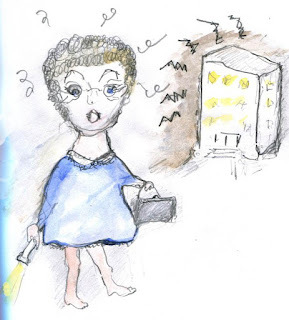 After last week's entry I heard from a friend with her quake experience during that deep, dark night. It is quite a story. 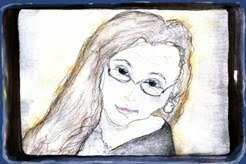 I share it here with you with my thanks and her permission. Just read your blog on the earth quake - well my reaction was the opposite. This earth quake was my first. I was awake and reading. Suddenly my bed moved and I looked up to see the bedroom wall move in and out accompanied by a loud THUD sound. I felt absolutely petrified. However, within seconds I was out of bed and had my clothes on, got my winter coat on and grabbed my keys. I headed down to the parkade and moved my car into the street. Once on the street I looked around. "There wasn't another soul to be seen." I noticed a man coming up the sidewalk walking his dog. I got out of the car and said to him, "Did we just have an earth quake?" With a nice, calm smile he responded, "Yes, it was an earth quake - 4.8 and deep - you didn't imagine it." I decided to go back into my suite but that very day I had taken the main door key off of my key chain to lend to a workman who was doing maintenance on our roof. I hadn't put it back on the key chain... so here I am at midnight walking around the building to see who still had lights on and who might answer their buzzer and let me in the building. My dear friend on the third floor was gracious enough to answer his buzzer at midnight and let me in but not before laughing at me for panicking about the "little" earth quake. Not exactly ho hum. I think we can all feel deep empathy for her story. On the good side, all's well that ends well. But did thee feel the earth move?" "Yes. As I died. Put thy arm around me, please." Windows rattled, walls shook, and the bed moved. It has been a long time. I didn't mean the bed but that too. I knew immediately what it was. Earth quake. What surprises me in retrospect was my reaction. I calmly shut my eyes, rolled over and fell into a deep, fast, sleep. I actually forgot about it. The day following the media reminded me. Oh yeahhh, the quake.... the epicenter was startlingly close. Victoria. A 4.8. My friend on the north shore of Vancouver felt it. That surprised me. While I did not think 4.8 was terribly strong I thought, well, it is the strongest quake I have been in with the few I have experienced, thank you, therefore quite strong enough if you please and if you don't mind terribly awfully. Rolling in the new year with the earth moving here in the Pacific North West. What can this bode? Pray tell. Oh do.